Today I will work in a team to research and take notes on cyberbullying. I'll know I've got it when my notes can describe cyberbullying, generate solutions for dealing with cyberbullying, and can explain how to avoid being a cyberbully. You will work in a team of two or three students to complete this project. Research cyberbullying by visiting and taking notes on each of the videos and websites below. You will be creating a product with your research in Part 2 of this project. (2014). 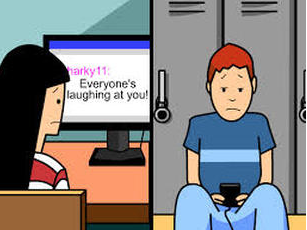 BrainPOP | Technology | Learn about Cyberbullying. 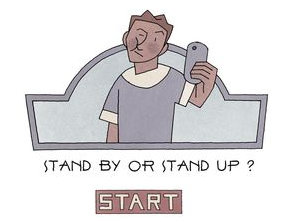 Retrieved March 25, 2015, from https://www.brainpop.com/technology/computersandinternet/cyberbullying/. (2013). NS Teens. Retrieved March 25, 2015, from http://www.nsteens.org/Comics/StandByOrStandUp.